An outrageously awesome costume accessory for those born to be on the wild side. 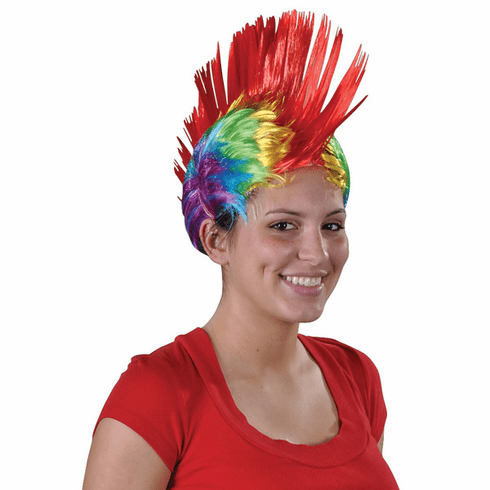 This Mohawk wig features the colors of the rainbow. Each piece in polybag with printed header.